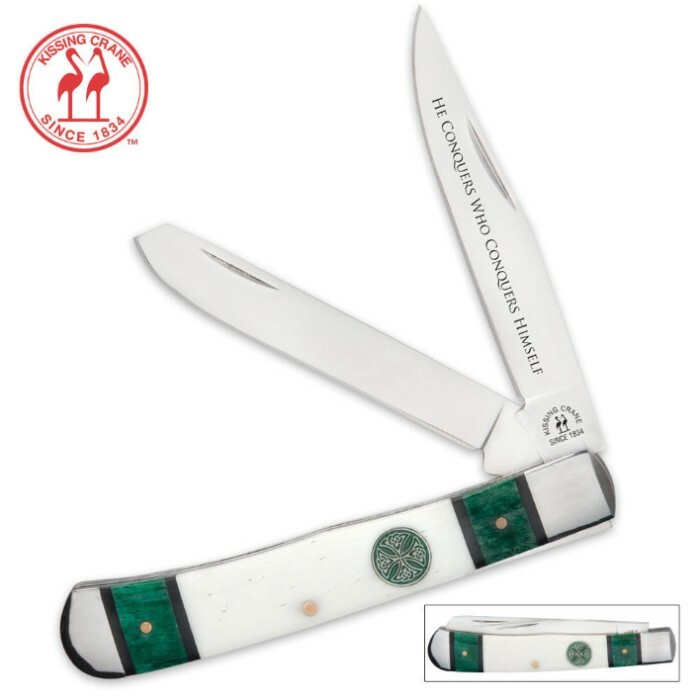 Kissing Crane Special Edition Celtic Conqueror Trapper Pocket Knife | BUDK.com - Knives & Swords At The Lowest Prices! Blade etch that states, "He Conquers Who Conquers Himself." Experience the unrivaled quality of Kissing Crane knives with this Special Edition Celtic Trapper. Get one today before they're all gone! I gave this knife as a gift, very nice knife and two very happy recipients!